One hundred years ago today [Tuesday, 27 September] Einstein’s publishers received a manuscript from the young Albert Einstein containing what we now recognise as the most famous equation of all time. E=mc2. It powers the sun, and therefore life on Earth. It’s become an icon of its time – recognised most of us. But are we wasting the opportunity to use its awesome power to create a more sustainable future? E=mc2 is elegant, simple, explaining a universe of startling and unexpected concepts in a few precise and concise characters. It’s the poetry of physics. E=mc2. It expresses the profound fact that energy can weigh something, that matter and energy are interchangeable. And, that the transformation is unexpectedly straightforward to calculate. Before Einstein, mass and energy were separate. Mass was never lost, it was always conserved. One hundred years ago the Sun was thought to be something like a great coal furnace in the sky. Sure, the maths didn’t quite add up, you’d need an impossible amount of coal to power it, but there wasn’t a better explanation. Einstein laid the foundations to change that. In a flash of genius, Einstein realised that mass and energy are interchangeable. Energy equals mass multiplied the square of the speed of light. If you could convert one kilogram of matter to energy you’d get 25 billion kilowatt hours of energy, or the equivalent of exploding 21 thousand tonnes of TNT. The Sun is a fusion reactor. 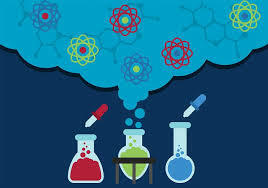 Every second, billions of tonnes of hydrogen are fused to helium, and mass is converted to energy. This mass loss program powers life on Earth. Practical applications of E=mc2 surround us: in the smoke detectors in our homes; the radio-isotopes used in medical imaging and radiotherapy. Our mobile phones even lose weight as the battery flattens. But only a millionth of a percent! And Australian science is investing in new machines driven E=mc2. The synchrotron under construction in Melbourne uses high speed electrons to produce the intense beams of light that give it the nickname, “Einstein’s Lighthouse”. The electrons have so much energy that they weigh more than 6000 times the electrons carrying the electricity in a domestic power point. The narrow powerful beams of synchrotron light allow us to explore chemical reactions, molecular structures, even the human body in much greater detail, and to design drugs, micro-machines, and new materials. The new OPAL fission reactor under construction in Sydney breaks apart uranium atoms and rearranges them into new atoms of lighter elements. The few tenths of a percent mass difference between the starting atom and the final products appears as energy according to E=mc2. Amongst other things, that energy is used to produce medical pharmaceuticals which many of us will need during our lives. In these examples, E=mc2 is in the service of the people of Australia. But in the 21st Century we can do much more – just step outside, and feel the sunlight. E=mc2 tells us how we can access energy. And Australia needs that knowledge. We are one of the greatest greenhouse gas emitters per capita as we burn coal to make electricity. The greenhouse gases from coal burning are disposed of for free up the chimneys of the power stations. They travel the world and the climate change consequences of our power consumption are borne people other than us. Is this ethical? If we enjoy the benefits of the power, we have a responsibility to dispose safely of the waste without inflicting it on others. A nuclear reactor that uses E=mc2 to make electricity keeps the waste local. For this reason E=mc2 should play more of a role in Australia’s future. We would really like to emulate the nuclear fusion power source of the Sun. So fusion reactors are the ultimate aim. But for commercial power generation fusion is a long way away and needs considerably more research. The Europeans are investing billions of dollars in an experimental fusion reactor, ITER (Latin for “the way”), to come online in 2016. Using everything we’ve learnt so far about creating fusion, it will be the first working model of how we could generate power. Its purpose is to help us learn what we need to develop fusion power stations. Development of fusion power is beyond the resources of any single country. Australia must be a partner in the international effort to develop fusion power. It will be one of the gifts that understanding Einstein’s most famous equation will bring us in the next 100 years. Unlike fusion, fission is available right now. It is one of the few options available for providing the power to run our cities and maintaining our energy intensive industries. It gives us the opportunity to deal with our waste here instead of pumping CO2 into the atmosphere and making it someone else’s problem. E=mc2, the most famous formula in physics, points the way to more ethical power generation. Einstein’s simple, elegant equation should be harnessed for Australia’s service. AUSTRALIA’S laws on stem cells and human cloning are under review. A committee headed by former Federal Court Justice John Lockhart has called for public submissions 9 September. So where’s the fervent public debate? Our laws currently ban any form of human cloning. Cloning a human being—so-called reproductive cloning—is clearly unethical, not least because it would produce a very sick individual. But cloning some cells from a person—so-called therapeutic cloning—is a different kettle of fish. Three-year-old Emma has juvenile diabetes—caused deterioration of the islet cells which produce insulin in her pancreas. Twenty years ago, she would have been treated with insulin injections. But they didn’t always halt the blindness or kidney failure that came with the disease. Sometimes adults with Emma’s condition were lucky enough to get an islet graft from a donated pancreas, but then they had to take anti-rejection drugs for the rest of their lives—not advisable for kids. Now, in 2020, Emma and her mum have made the trip from Melbourne to receive the treatment for which the Seoul clinic is famous. Emma has skin cells scraped from the side of her cheek. Meanwhile her mother, after treatment with hormones, has 10 eggs harvested from her swollen ovary. In the lab, a steady-handed technician, wielding two fine needles under a microscope, plucks out the dark round nucleus from one of Emma’s skin cells. He inserts it into one of her mother’s eggs, from which the nucleus has been removed. Emma’s skin nucleus carried her genetic blueprint. Now inside her mother’s egg, it will start multiplying forming an embryo that is a clone of Emma. After the embryo has divided about seven times, forming a hollow ball of about 100 cells, the technician will remove a clump of them that nestle in the interior. This clump will give rise to embryonic stem cells—biological gold. Embryonic stem cells multiply endlessly to produce the large numbers of cells needed for a graft, and they have the potential to mature into any tissue of the body. In this case, the stem cells will be matured into islet cells which, when grafted into Emma’s pancreas, will cure her diabetes. And, because the graft is made up of Emma’s own cells, it will not need to be accompanied deadly immune-suppressing drugs. In the bone marrow section of the clinic, we find 30-year-old Josh. He has leukaemia. His bone marrow is about to be destroyed to kill off the cancer cells, but this cannot be done until he has a replacement graft of bone marrow cells. Twenty years ago people often died waiting for a matching donor, or died from a graft that wasn’t a good enough match. Josh is at the clinic to generate his own matching graft. The starting source, as for Emma, is his skin cells. This time, it is his girlfriend who is donating the eggs. Josh’s cloned embryo will again provide the embryonic stem cells, but this time the stem cells will go through a different maturation process, to produce primitive bone marrow cells, not islets. Five-year-old Peter is at the clinic too. He has Falconi’s anaemia, a blood disease caused the loss of a single gene. Before technicians make up his bone marrow graft, they will replace the missing gene in his embryonic stem cells. Then, they will multiply them, and instruct them to mature as bone marrow cells. In the neurology section we meet Mary, a 55-year-old with Parkinson’s disease, and her niece who is donating the eggs. Mary’s embryonic stem cells will be matured into dopamine-producing brain cells. These will be grafted into her brain to replace the cells that died off and caused her disease. Back in Australia in 2020, things have changed dramatically for patients with motor neuron diseases, such as ALS or transverse myelitis. These conditions strike out of the blue killing off motor neurons. In the worst cases, patients progressively lose the ability to walk, talk, eat and breathe. Twenty years back, no-one knew how to halt the death of the neurons, because there was no way to study the disease. But in Korea they used therapeutic cloning to make embryonic stem cells from people with these diseases. Those cells were matured into motor neurons, which researchers employed as “model patients” in their studies. Korean drug companies used these cells to screen drugs, and found a compound that halts the death of the motor neurons. Now these diseases are no longer a death sentence. This futurology is not fanciful. In 2002 and 2003, researchers carried out these exact therapeutic cloning techniques in mice with Parkinson’s disease and genetic blood diseases. They cured the mice. In 2005, using drug screens, researchers found a compound that might help save motor neurons in kids with Spinal Muscular Atrophy—a disease that kills motor neurons in new born babies. Trouble is, they didn’t have the real, affected cells. For a drug screen you need cells that multiply readily; the best thing they could get were mouse brain cancer cells. With therapeutic cloning, they could have tested their drugs on motor neurons derived from the skin cells of sick kids. Opponents of this future scenario claim that therapeutic cloning is unnecessary because adult stem cells, which we carry in some of our organs, will provide all the same benefits. I wonder how they know that. Because if there is anything we have learned from the progress of science, it is that, like football, we don’t know how to pick winners. As historian Daniel Boorstin put it, “ the greatest obstacle to discovery is not ignorance, it is the illusion of knowledge”. Elizabeth Finkel is a Melbourne scientist, writer and author of Stem Cells – controversy at the Frontiers of Science. 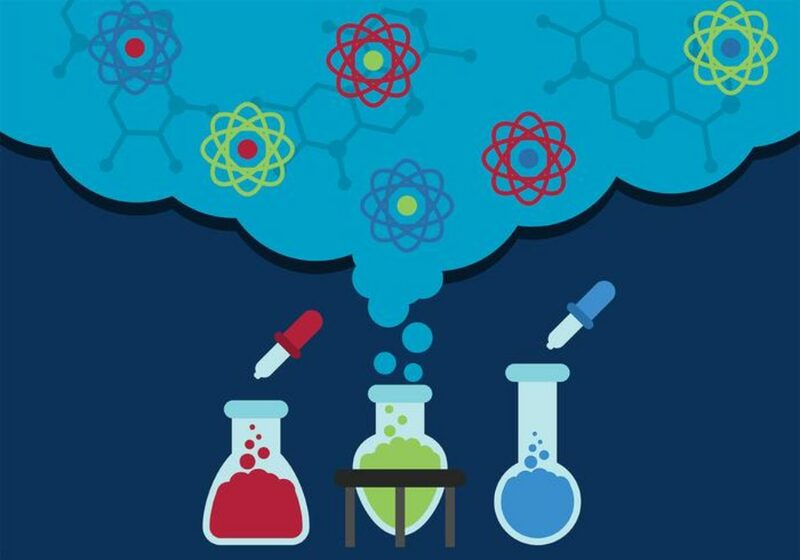 Throughout Australia’s National Science Week, eminent scientists called for urgent action to get more young people interested in science and engineering. 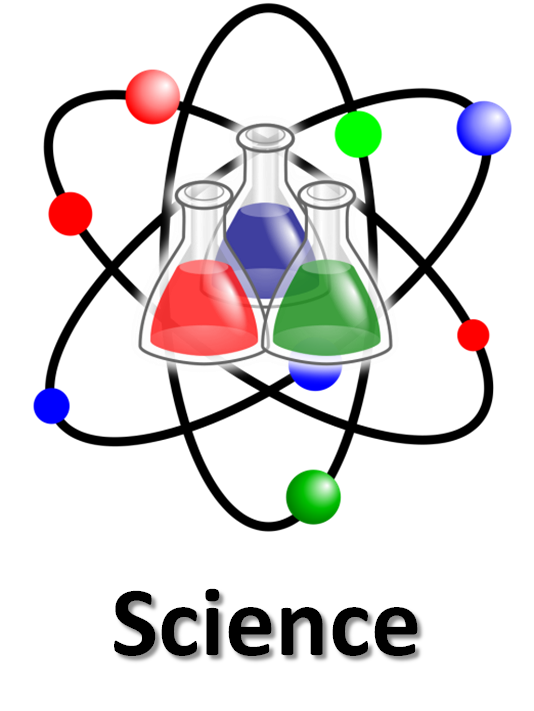 “But not enough kids want to go into science and engineering to solve them,” said Kroto. Kroto’s concerns reflected those of UK roboticist Noel Sharkey. “The number of engineers in the west is dropping dramatically. It seems dull and boring to people, whereas if you go to India or China everybody there wants to be an engineer,” says Sharkey. Enter Exeter High School science teacher Jane Dadson. She has hit on a unique way to boost science in schools. 150 Year 9/10 students are presenting science shows to local primary students. And so far over 200 primary students have been excited dramatic demonstrations of plasma balls, hydrogen fuel, static electricity, flight and much more. Dadson hopes that every secondary school in Tasmania will pick up the concept. “We’ve developed the Exeter Fair with the help of an Einstein Year grant from the Australian Institute of Physics, and a National Science Week grant (we did I put this in but don’t know if you did get Science Week money). We now have a manual that any school can use to run their own Energy Fair. Students have been splitting water into hydrogen with a bang all last week. And this week there are two more sessions. New Sci Trend call Eyebrow Feathering, taking Melbourne storm. Microblading, feathering, eyebrow tattooing — anything you would like to predict it, the past couple of decades have seen a massive surge from the professional long-term, brow-filling therapy. And while girls in Melbourne are flocking with their closest forehead lotions and handing over their hard-won money to change their brows out of thin and lean to electricity brows Cara Delevingne are covetous of, it has to be understood that it is no way a cure-all. 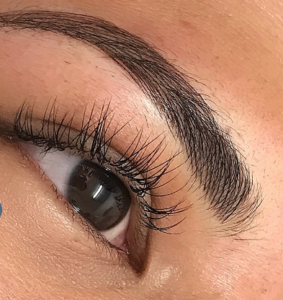 As they say, there is no such thing as a free lunch, so we talked to eyebrow artist Jazz Pampling to discover the crucial things that you need to learn before you choose the eyebrow tattooing dip. And after the job is completed, it is important to keep in mind that the area handled is currently basically a wound. “I constantly urge clients treat the region such as a wound up, which it can be,” states Pampling. Look at the work of someone like Arli jade and compare that to you brow technician. As with any wound, then there’s an opportunity that after it healsthe skin may scar. “Long-term eyebrow piercing can lead to scarring to skin. Your primary form of microblading will probably be OK, however a couple of decades after the touch-up work has to be approached differently to ensure minimal effect on the epidermis,” states Pampling. “It is really important that you do your homework when locating a eyebrow tattoo artist,” she worries. While eyebrow tattooing can surely go a very long way to enhancing the way dense or thick your brows appearance, unfortunately it is not a permanent alternative. The ideal method to understand how your skin will respond and what exactly the color of this tattoo would look like? Trialling the process prior to going the entire hog. “I constantly do a consult with my customers before starting a eyebrow tattoo. Each consult is one hour also contains a little use of eyebrow tattoo lines into your own forehead. Hidden amongst your hair you’ve got, this little application lets you observe the way the eyebrow tattoo will cure and if you prefer the results. You will also have a fantastic comprehension of the pain amount, if some,” states Pampling. On the lookout for a few forehead satisfying options to microblading? Listed below are a couple different choices for fuller, thicker brows. Have you got a microblading encounter? Please talk with us from the remarks section below.